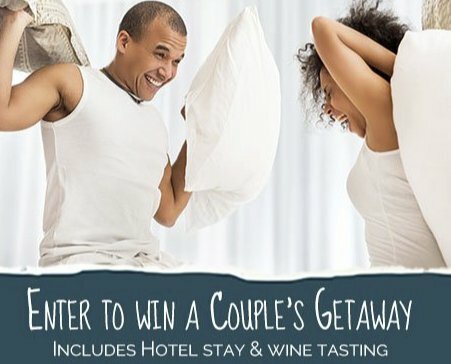 Win a $500.00 Couple's Romantic Weekend! It's time you treat yourself and that someone special to a romantic weekend getaway. Bloomington, Minnesota has everything you need to escape, relax and have a little fun. • Wine Tasting & More at The Winery at Sovereign Estate Winery in Waconia, Minnesota.